Shopaholics! This is what you've been waiting for! 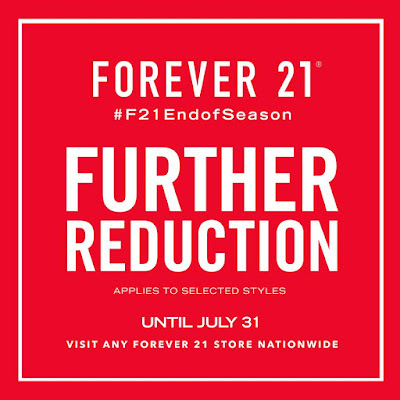 Enjoy further markdowns and reductions on selected styles at Forever 21's End of Season SALE! 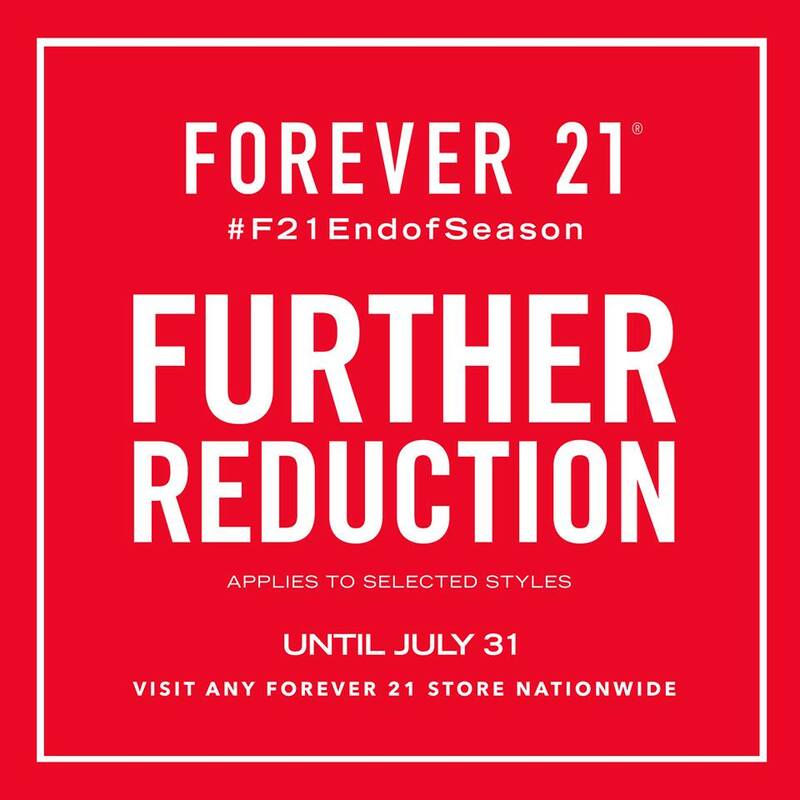 Head over to your favorite Forever 21 stores nationwide!